A huge cleansing of Turkey’s state and other institutions is continuing as people from all walks of life find themselves being hunted down and taken into custody. At least 2586 people were detained, with 423 of them put under arrest, in operations targeting the Gülen movement and Turkey’s Kurdish minority over the past month, according to data compiled by Turkeypurge.com. The detentions and arrests took place between March 1 and March 29. On March 29, Nuri Polat, a lawyer representing Meral Akşener, a former deputy and candidate for leadership of the opposition Nationalist Movement Party (MHP), was detained by police over alleged links to the movement. On March 28, at least 34 people were detained over their alleged use of ByLock mobile application, which the government believes to be a top communication tool among Gülen movement followers. 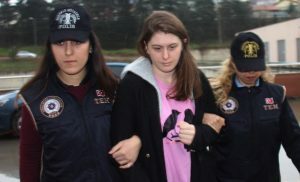 On March 27, Fatma Saadet Yılmazer and Rabia Fitnat Yılmazer, daughters of jailed former police intelligence chief Ali Fuat Yılmazer, were arrested by an İstanbul court for using ByLock. Ali Fuat Yılmazer was jailed following corruption probes in late 2013 implicating then-Prime Minister Recep Tayyip Erdoğan’s government and is accused of having committed a range of crimes, from illegal wiretapping to involvement in the murder of Turkish-Armenian journalist Hrant Dink in 2007. He is being held in Silivri Prison, and his daughter Fatma was serving as his lawyer. On March 27, at least 14 people, including businessmen and housewives, were detained over their alleged use of ByLock mobile application. On March 27, a former Council of State judge, identified by initials F.E., was detained in Istanbul’s Pendik district as he was leaving a housing compound with a fake ID on him. On March 25, a total of 65 civilians, including businessmen and housewives, were detained as part of ongoing operations targeting the alleged followers of the Gülen movement due to their use of ByLock. On March 25, 6 people were detained in the eastern province of Bingöl on charges of disseminating terrorist propaganda from their social media accounts, according to a statement from the Bingöl Governor’s Office. On March 25, arrests warrants were issued for 60 previously dismissed police officers over alleged use of ByLock. 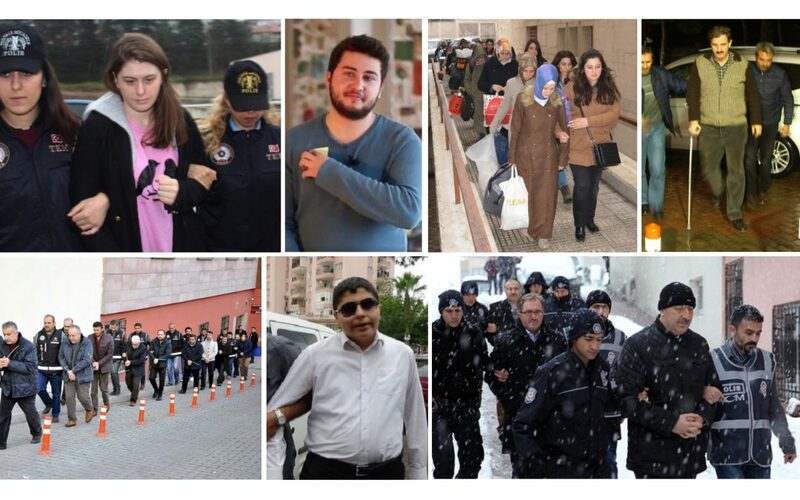 On March 23, police detained 35 lawyers who defend suspects who are accused of Gülen links in several ongoing trials. On March 23, 44 of the 84 detained employees of Turkey’s largest defense electronics company ASELSAN were arrested over Gülen movement links and coup involvement of July 15 in Ankara. On March 23, as part of an Aksaray-based operation, detention warrants were for 22 teachers who were earlier dismissed from their positions, due to their use of a smart phone application called ByLock. On March 23, as part of a Kayseri-based operation, detention warrants were issued for 25 teachers who were earlier dismissed from their positions, due to their use of ByLock. 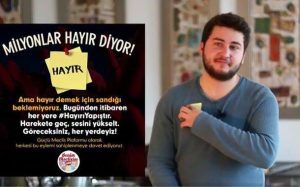 On March 21, twenty-one years old university student Ali Gül was arrested days after a video he appeared in a “No campaign” that went viral in the run up to the presidential referendum. On March 20, Turkey’s Interior Ministry announced that a total of 966 people were detained in operations targeting the Gülen movement between March 13 and 20. On March 19, Adana police briefly detained visually impaired journalist Cüneyt Arat for “insulting President Recep Tayyip Erdoğan” in a tweet he posted. 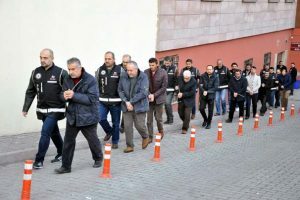 On March 19, a total of 17 health workers, including doctors and nurses, were arrested in Kayseri province as part of an investigation into the coup attempt of July 15. On March 19, a total of ten teachers who were claimed to be using ByLock were arrested as part of an investigation into the Gülen movement. On March 19, detention warrants were issued for 23 dismissed judges and prosecutors in İzmir as part of an investigation into the Gülen movement and a failed coup attempt on July 15. On March 18, the Ministry of Interior Affairs announced that a total of 740 people have been detained as part of operations across Turkey against the Kurdistan Workers’ Party (PKK). On March 17, 63 police officers who were earlier dismissed from profession were sent to jail over their alleged use of ByLock mobile application. On March 16, Turkish Airlines (THY) announced that it fired 26 more employees over their alleged links to the Gülen movement. On March 16, the Kahramanmaraş Chief Public Prosecutor’s Office issued detention warrants for 24 lawyers in the province due to their alleged links to the faith-based Gülen movement, with 19 of them placed under police custody. On March 15, a total of 15 police officers in Mersin were detained over alleged involvement in a coup attempt on July 15. On March 15, 20 police officers who were previously dismissed from profession with decrees issued by the Turkish government, taken into custody over allleged coup involvement in Kayseri. On March 13, 30 housewives in Ağrı, 13 businessmen and shopkeepers in Kırklareli, and 7 others in Siirt were detained by police over links to the Gülen movement, Habertürk daily reported. On March 12, at least 7 civilians were arrested by a Turkish court in Sakarya province over alleged coup involvement. On March 10, thirty people across 11 provinces were detained as part of an investigation conducted by the Bodrum Chief Public Prosecutor’s Office targeting alleged followers of the faith-based Gülen movement. On March 10, the Ankara Chief Public Prosecutor’s Office issued detention warrants for 102 people working at the Ministry of Food, Agriculture and Livestock over alleged links to the Gülen movement. On March 9, a total of 31 academics working at Eskişehir-based Anatolian University were detained over alleged links to the Gülen movement. On March 8, at least 23 former police officers who were earlier dismissed as part of an investigation into the Gülen movement, were detained. On March 8, Turkish prosecutors issued detention warrants for a total of 142 people across 32 provinces due to their alleged links to the Gülen movement. On March 6, twenty-one people were detained by Turkish police as part of an operation based in the eastern province of Siirt against alleged followers of the Gülen movement. On March 6, 95 people were detained across Turkey as part of witch hunt targeting people linked with Gülen movement. According to state-run Anadolu news agency, 11 military personnel, 23 police and 11 academics were among the detained people as part of investigations launched in İzmir, Giresun, Balıkesir, Edirne, Erzincan, Siirt and Kilis provinces. On March 4, a Turkish court ruled for the arrest of a total of 21 civilians in Ağrı over alleged links to the Gülen movement. On March 4, 25 people, including Ramazan Ölçen, owner of the pro-Kurdish daily Azadiya Welat, were detained by Turkish police in simultaneous raids in Diyarbakır, Evrensel daily reported. On March 3, a total of thirty-three housewives were detained in Kayseri over alleged links to the Gülen movement. On March 3, twelve academics and staff from Muğla Sıtkı Koçman University were detained over their links with the Gülen movement. The detainees — Hanifi Y., Muaz B., Mehmet A., Altan A., Hacı Ali D., Mahmut A., Mustafa A., Selçuk A., Fuat G., İbrahim Ş., İhsan Y. and Ali K. — were taken to the Kayseri Police Department for further interrogation. According to the Milliyet daily, police detained the “suspects” at a meeting during which they were raising funds for victimized families. Turkey experienced a military coup attempt on July 15 that killed over 240 people and wounded more than a thousand others. Immediately after the putsch, the Justice and Development Party (AKP) government along with President Recep Tayyip Erdoğan pinned the blame on the Gülen movement. The movement denies any involvement. More than 135,000 people have been purged from state bodies and 43,000 arrested since the coup attempt. Arrestees include journalists, judges, prosecutors, police and military officers, academics, governors and even a comedian.